No playing around. Toys and video games are surprisingly serious business. Especially in Q4; especially with the holidays approaching. 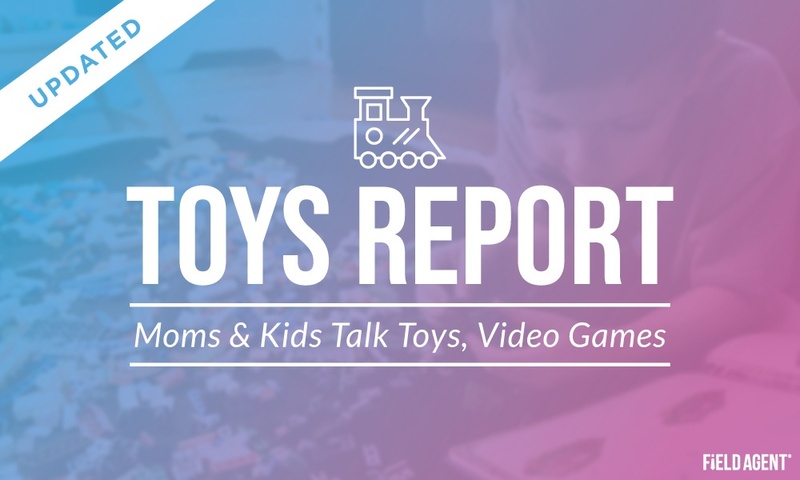 Two years ago, retail-auditing and insights firm Field Agent published a report, “All Things Toys,” exploring the toy-shopping attitudes and behaviors of parents and their 5-12-year-olds. The report was a big hit. 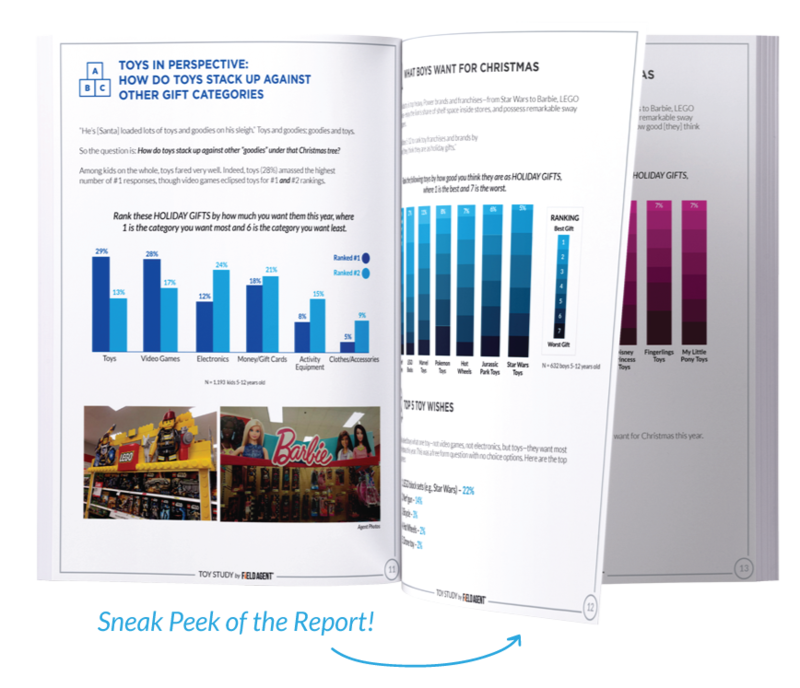 Now, with the holidays just around the corner, Field Agent is pleased to announce an updated and expanded version of “All Things Toys.” All figures and findings in the report have been updated to reflect the results of surveys conducted in October 2018. Additionally, Field Agent’s 2018 toys report contains a new section—call it a “bonus stage”—on video gaming products and purchases. What role do omnichannel services like store pickup and mobile apps play in toy-shopping? What toy franchises—Star Wars, Marvel, Barbie—are tops with today’s boys and girls? What video games, consoles, and franchises do kids prefer playing, and what video game do they most want this holiday season? From batteries to "happy meal" toys, Field Agent’s “All Things Toys" 2018 offers a sweeping, data-driven, shopper-centered look at toys and video games.